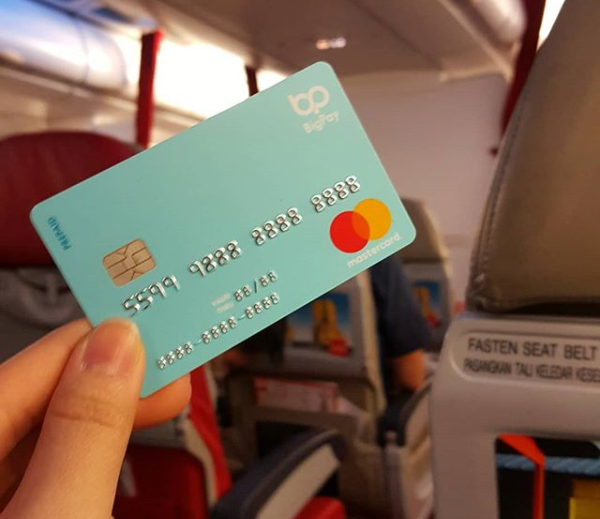 9 Things To Know About The New E-Wallet That "Will Be Worth More Than AirAsia"
BigPay is an e-wallet and accompanying prepaid card that Tony Fernandes believes will be worth more than AirAsia. It will waive the 2% fee charged by overseas ATM withdrawals, waive processing fees by AirAsia, and the card is accepted anywhere a MasterCard is. Foreign exchange remittances and P2P payments can be done for no cost on BigPay. AirAsia has been loud and proud about BigPay lately, their upcoming e-wallet and accompanying prepaid card that they hope will take the nation by storm. Since they were one of the first to do online booking in Malaysia, it will be interesting to observe if they can be the first to finally make e-wallets mainstream here as well. If you’re curious about the platform though, here are some of the facts about BigPay for you. 1. The e-wallet works hand-in-hand with the prepaid card. As you may have noticed, this particular e-wallet will have a physical card to go along with it—one of the first of its kind in Malaysia. If you’re a little confused by this, here’s the low down. Owning a BigPay card will pretty much be like owning a Mastercard. Even if the location doesn’t accept e-wallet payments, you’ll still be able to spend your money using your BigPay card. One big difference though is that BigPay is a prepaid card. So you can’t pay for more than the balance in your e-wallet. If you want to check your previous transactions, top-up your card, cancel or freeze your card, you’ll be using the app instead of loading up a browser to go online. Ideally, this means that you can more quickly cancel or freeze your card in case you notice any fishiness going on with your transactions. This would also mean that your associated bank accounts remain unaffected even if your card is compromised. 2. It’s different than BigPrepaid—but with some similarities. The similarities are obvious. They’re both prepaid cards with no interest charges. On both, AirAsia will waive any processing fees if booked through either platform. Both BigPay and BigPrepaid are linked to Mastercard as well, which can be used for both payments and as a loyalty system. One key difference though is that BigPay is more focused on being used as an e-wallet, with a physical card seemingly as an added bonus to enable more use out of their wallet. 3. Proper e-wallet features are on the way. For now, the use of the app is linked to the prepaid card. But AirAsia assures that they are working on additional features that will finally push BigPay into a proper e-wallet; QR payments and NFC will soon be incorporated into the BigPay app. For all of your international transactions, the BigPay app will display your purchases for both your local currency, and the used currency. 4. BigPay doesn’t work on Grab yet. Unfortunately, due to some complications, users are unable to use their BigPay card on Grab’s system. The two are currently in talks to fix the issue. 5. BigPay is approved by Bank Negara. Since the company is a rebrand of an existing company under AirAsia, this perhaps made things easier for them. It was formerly known as TPayy Asia Sdn Bhd, which used to be Tune Money—a loyalty programme. Security features that help protect users’ money include fingerprint scanners and facial recognition to verify a user’s identity. While setting up the platform, the system will also ask you to verify your identity and phone number for an extra layer of security. 6. They support peer-to-peer transactions—for free. For one thing, you can potentially use it to split the restaurant bill among your friends, or pay them back what you owe them. On the other hand, one of the markets that BigPay aims to tap into is foreign exchange remittances—when you send money across countries. Since the BigPay app can be used across the globe, this means that two people with a BigPay card could send money to each other back and forth, and AirAsia won’t charge you a dime for it (for now). This is even one of the selling points of BigPay touted by Tony Fernandes himself. This opens up big possibilities for people who want to send money back home, and might just be a defining feature of the platform, if marketed correctly. AirAsia has not released an official statement about this, but they might even offer money lending to its user base soon. Whether this means peer-to-peer money lending or platform-to-user money lending will remain to be seen. 7. Your transactions on the card or app collect points that could go towards your next AirAsia flight. As per other e-wallet players here, BigPay will have its own rewards system. Once completed and launched, users would be able to use the points for discounted flights and other AirAsia travel rewards. The rewards system will be a collaboration between AirAsia and their affiliate, which operates the Big Loyalty Programme. More specifically, these points can eventually be transferred into AirAsia travel rewards. You’ll be able to link your AirAsia BIG member ID to your BigPay account using your email. *Editor’s Note (19/04/2019): BigPay has come out to clarify that they have adjusted their system to reward users with AirAsia BIG Points for each and every transaction made on the platform as long as the amount is above RM20. 8. BigPay will waive fees usually charged by financial institutions. If you bought it on BigPay, they won’t charge you the additional fees that are usually charged by, say, your credit card issuers. You can use your BigPay card on ATMs—but there’s a fee. More suitable for use in urgent situations, you’ll be charged RM6 for domestic withdrawals, and RM10 for international withdrawals. On the plus side, unlike your banks, you won’t have to inform BigPay if you’re travelling overseas. That being said, if you are withdrawing overseas, BigPay will waive the 2% fee for withdrawals (for now). ATMs might still charge you some additional fees, but these charges will be reflected in your app. 9. Tony Fernandes said that “soon, no more cash on AirAsia”. 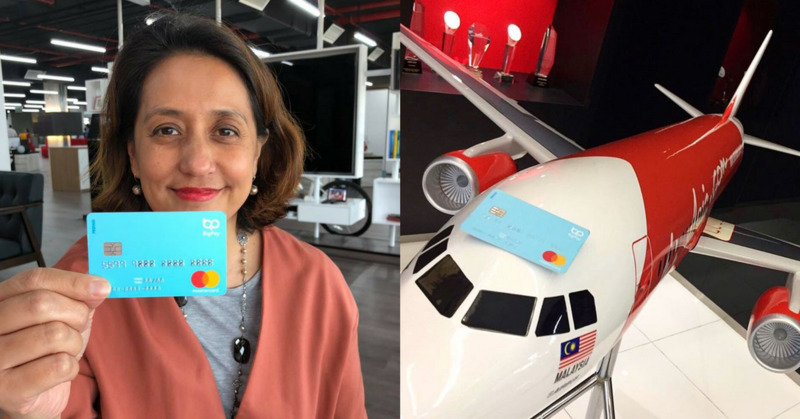 With a reputation as tech company as well as an airline, it is obvious that this Malaysian giant is jumping on the cashless bandwagon in Malaysia. It seems like airline analysts aren’t seeing the appeal though. Tony Fernandes laments how airline analysts aren’t giving BigPay due attention, even though presentations we done on their digital strategy—with presumable impact laid out. In another bid to grow cashless in Malaysia, BigPay is tapping into the markets for both e-wallets and a card. This is probably a pretty smart move, as many Malaysians are already used to the idea of paying with cards. The card might serve as a gateway for users to finally jump into e-wallets. That being said, if there are more rewards than just airline-related stuff, that might really help BigPay get its clientele.